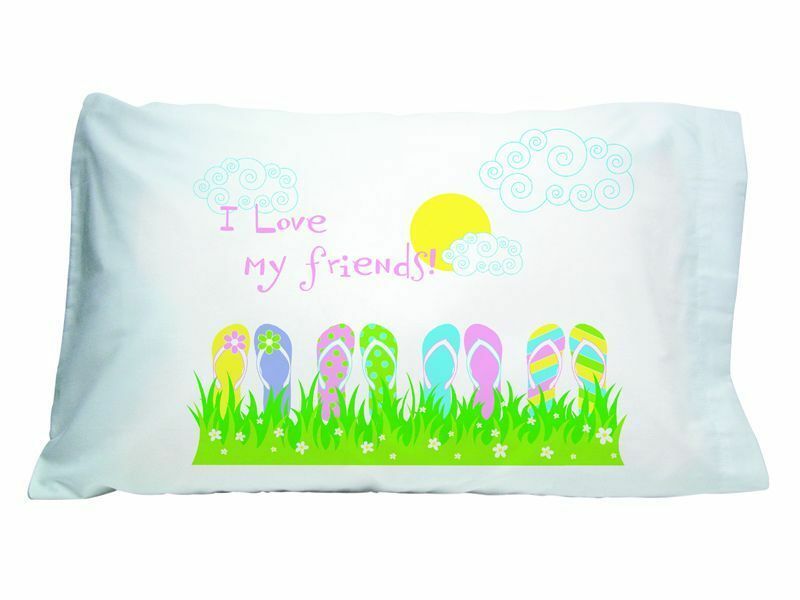 View cart “Happy Camper Pillowcase” has been added to your cart. A brightly colored pillowcase with illustrations of clouds, sun, grass and flip-flops, with the words I love my friends! in pink. Comes with an autograph pen. A perfect way to preserve memories from a fun sleepover or camp. Great for camp, this Horse Autograph Pillowcase comes complete with black fabric marker! Horse's bridle and font at top of pillowcase are red. 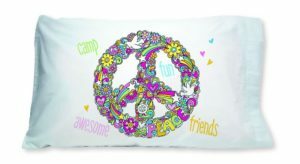 A fun, brightly colored pillowcase with a peace sign made of flowers, hearts, stars and doves with the words 'fun', 'friends', 'camp', and 'awesome' scattered around the pillowcase. Comes with a Sharpie for autographs from friends. Standard size. 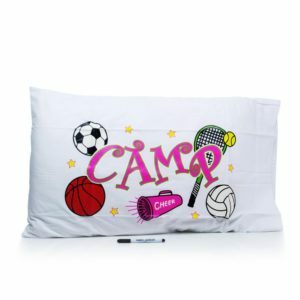 Perfect Autograph Pillowcase for the sports girl! 100% cotton. Standard size. Black fabric marker included. 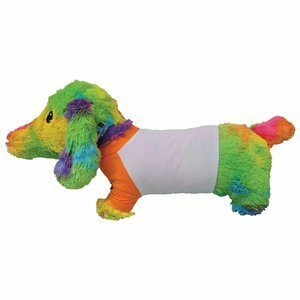 Have all your cabin mates sign this funky, soft "hot dog" pillow to keep for awesome memories!